Once Upon a Time…. a little story about the magic of GRATITUDE that created a Christmas miracle! Have you ever thought of using GRATITUDE as the magical pixie dust to call into your life MORE of what you LOVE??? I’m going to tell you my story about when I used the magic of “pixie dust gratitude” to create a Christmas miracle! This book, Simple Abundance, cost $24 and there were nine siblings in this fair maiden’s family and she wanted to get a copy for each of them, as well as one for her mom and dad for the upcoming jolly holiday. This seemed to be an impossible task without a budget for Christmas because of the loss of this fair maiden’s job….. I had been studying about the power of intention and gratitude so I decided to put it into practice. I wanted to be able to give each of my siblings this book as a gift and keep the cost under $20 total for EVERYTHING. I focused with real intent and wrote in my gratitude journal how thankful I was to be able to give this gift to my family and keep the cost under $20. Now…. Keep in mind I didn’t have the books yet nor did I know HOW I would be getting these books for under $20…. I just worked on eliminating the “logical doubt” that crept into my mind when I thought about this…. And how did I do that??? I focused on what I could really “see”…. Not what I was doubting. For me, I simply imagined what it would feel like to be able to wrap up these books and surprise each of my beloved family members with this gift I just knew was going to be a treasure. I didn’t try to figure out how it was going to happen, I just held the feeling that it was on its way, that it had already happened and that I was going to be able to do this for Christmas. I imagined the wrapping paper and cute bow I would put on each package. I imagined the “Hmmmm….. interesting smile” that each of my sisters would give me as they opened their present. I imagined the texts I would get when they read a page and then shared how wonderful this gift was in their life. Mmmmm…… it was some yummy, delicious good imagining fun!!! A couple weeks later I received a call from my mother in law and she had ordered something from Amazon and needed to ship it to my house for my boys for Christmas. She told me to go online and track it at Amazon.com. When I logged on I saw an advertisement for one of Oprah’s book club books and it reminded me about my wish to get the Simple Abundance book for my family. (You see…. I had set the intention, imagined its fabulous outcome and let go of my attachment to know just how it was all going to work out…. So this is where “the universe” gave me a little “ding” reminder!) I searched for the book and found there were many used books for only a penny and shipping was $3.99. THIS WAS A WONDERFUL MIRACLE AND TRULY A FABULOUS DISCOVERY!!!!…….. BUT!!! I had set my intention on the total gift costing less than $20 and I was confident there was more magic in store for me. I emailed one of the vendors and asked if they had more than one copy and left my phone number. A kind woman called back and told me she had more than one copy and how many would I like. I told her 10, she told me that if I ordered more than 10 that she would give me free shipping so I ordered a few extras for my friends and the total came to $15. WHAT???!!!!!?????!!!!! Yep….. you read that right. It was LESS THAN $20 !!!! Ding, ding, ding!!! Winner, Winner, Simple abundance is what’s for dinner!!!! The story doesn’t end there…..my mom loved the book and gave a copy to her sister. My aunt loved the book and called the same lady that I had talked to and ordered 20 copies….they sent them to her and then sent her another box of 20 on accident. When she called to tell them about the mix up, they said she could send them back or keep them free of charge. I was able to give out this wonderful book in my workshops “Oprah style”….. remember when she would say to the audience….. “And now we have a copy for ALL OF YOU!!!!! !” It was so fun to be spreading this amazing gift of gratitude along with this story of the magic of gratitude. This is just one of the beautiful examples of gratitude and how it totally brought the magic into my Christmas that year!!! Just as an all powerful “Kick it up” to the way I do my gratitude and intentions….. I always add “this or something better” when I’m working on my imagination, intention, gratitude sprinkled, yummy, gonna get it and bring it into my world manifestation practice and you can see how well that worked out for me in the above “happily ever after” story. I truly found a dear friend and teacher in this “Simple Abundance” book. The author, Sarah Ban Breathnach, speaks to my heart and her words are mmmm, mmmmm, scrumptious to me. I would love to share this book with you ….. it’s a daily thought book and the Gratitude Journal is on January 14th so you have plenty of time to get this book….. OR you could win it!!!! Right now!!! Share this post and post 5 things that you are grateful for on my Redefining Joy FB page. I will enter you in a drawing for one of these magical books….. just in time to begin a New Year!! Happy “Gratituding”….. spread the love, sprinkle the “thanks”! Don’t miss next weeks blog….. I’m going to tell you exactly how I use my gratitude journal!!! To say that gratitude changed my life would be an understatement. I don’t recall the year that it began for me but I started hearing little whisperings about gratitude and this magical, little seed called gratitude, was planted. I often listened to Oprah’s radio show “Soul Series” in the mornings while I was getting ready for work. One day the interview was with Sarah Ban Breathnach, the author of Simple Abundance. 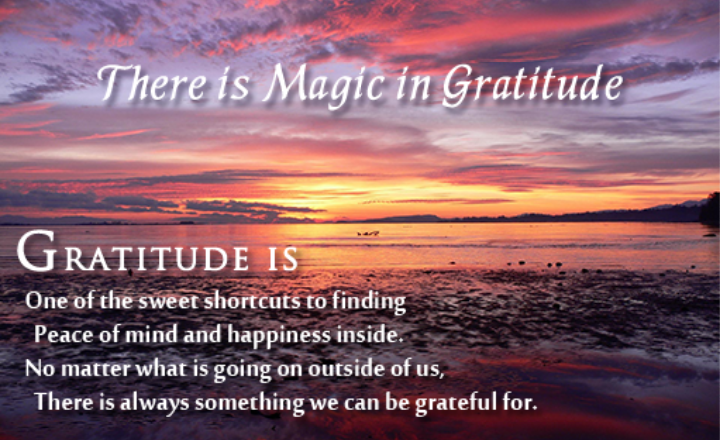 Oprah spoke about one of the concepts in this book that had changed her life, gratitude. 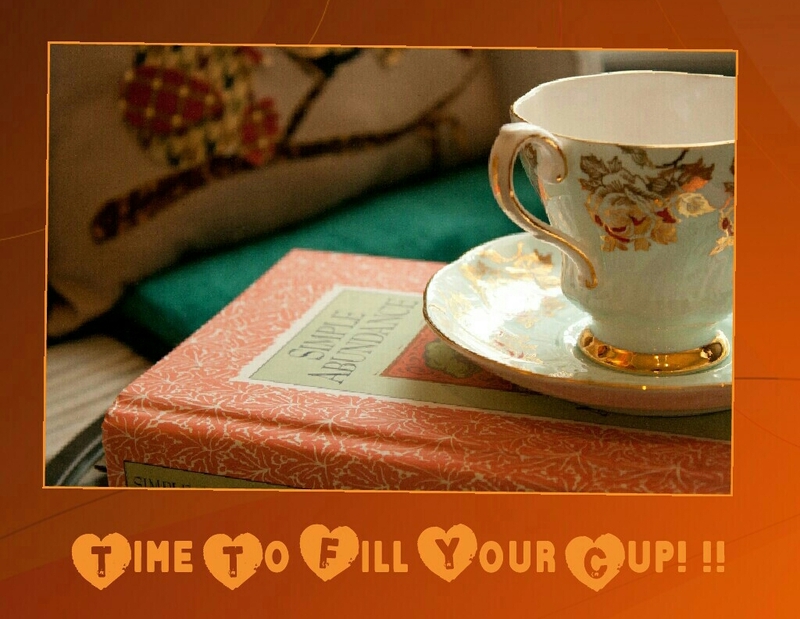 Sarah Ban Breathnach, details how using a gratitude journal can help you see your life in a different way…. And I was in need of seeing my life in a different way. I bought the book, Simple Abundance, and I bought myself a gratitude journal. Each night I would wrap up my day by sitting down and contemplating the top 5 things I was grateful for that had happened that day. I challenged myself to be specific and have a different list every night. This brilliant woman was so right, in just a short period of time I began to see things differently in my life. My soul was beginning to awaken to the good, the true and the beautiful that surrounded me…. And the more I had a taste for this the more I wanted!!! As my gratitude practice continued I began cultivating an invisible connection to something I had never experienced in my life up to this point. I had been religious my whole life and I thought that was the same as being spiritual….. but what I discovered that for me personally…. These two things were different. My religion that I was a part of was the culture, the tribe, the collective beliefs of a group I was a part of and my spirituality was my personal beliefs of the world that surrounded me that I participated in. This included my relationships with people, with nature and all things seen and unseen in my life. My spirituality was my very personal, very intimate relationship with my personal feelings I was developing for my place in this world and what my personal divinity looked like for me. I was so grateful for the feeling that this new found spirituality brought to my life…. it felt like an expansion of the human experience into the spiritual experience of being human. Life began to take on new color, new music, new sensations of all kinds. I continued my gratitude adventure and experienced more and more miracles as I shifted the way I saw things in my life. I was able to shift some of the things that I was judging as “bad” and see that these were “opportunities for growth”. Instead of the “trials and tribulations” I was taught I must endure, I saw the expansion and joy my soul could rejoice in when I made a choice to empower myself towards what I was most grateful for in my life. Through this practice of gratitude I was able to see that what I focused on the most, in a heartfelt state of gratitude, would expand. I also experienced the miracle of healed relationships when I focused on the gratitude I felt for another human being and began to see them as a spiritual being having the same choices for “opportunities to grow” that I was experiencing. Gratitude was the path that led me to joy! Gratitude was the cozy blanket that comforted me warm when I felt so alone. Gratitude was the friend that gave me the courage to change the things I could change. Gratitude was the reminder that this life was worth living…if just for one more day. Gratitude was the tiny sparkle of light at the end of a very long and dark tunnel that brought my soul “home”. Gratitude was the miracle that changed my life for good. Simply put,to say that gratitude changed my life is an understatement…… gratitude not only changed my life, it saved my life. Gratitude gave me the courage to wake up every day and search for just 5 more things that I was grateful for until the day arrived almost mysteriously and miraculously that my list of gratitude could not be contained in a single journal anymore and magically I had a PASSION TO TRULY LIVE!! I continue to practice gratitude. When I find a particular rough place in my life it is the tool I turn to first. I find gratitude in the situation I’m facing. If I can’t find the gratitude…. I set the intention that I WILL FIND THE GRATITUDE….. and I open my heart to be willing to truly see the gratitude in what I’m facing. Eventually, it never fails, I find the gratitude for everything in my life because for me personally, this has become my spiritual practice that connects me to something invisible, something all consumed with real love, something bigger than I am, something so true, so beautiful and so good that I want to be a part of it. I guess you could say that gratitude is my religion, it has become my spiritual practice and it has made all the difference! And now….. I’m giving GRATITUDE TO YOU!!!! I’m going to give away one of the books that changed my life. I’m going to have a drawing for a copy of Sarah Ban Breathnach’s book, Simple Abundance. To be entered into the drawing that will be held next Saturday, November 14th at noon MST. Share this post to your page so we can echo out the magic of gratitude in this wonderful month of Thanksgiving….. then go to my page Redefining Joy and share 5 things you are grateful for today, be specific, feel it in your heart and share this blessed feeling. Watch for next week’s post about how I attracted over 40 copies of this amazing book with the magic of GRATITUDE!!! And tune in to our winner! 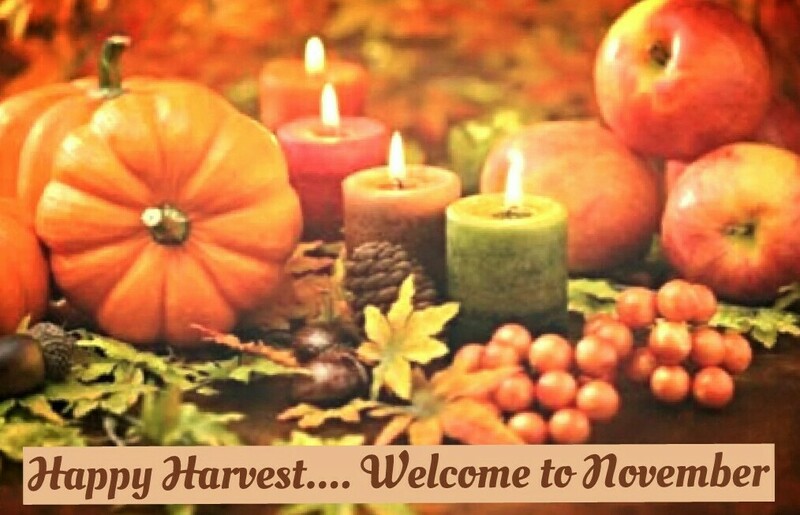 Welcome to November….. Harvest time….. What does that mean??? Whew!! What a month October was. First and foremost, thank you to everyone that watched or came out to our watch party see Trent’s episode of Naked and Afraid. The watch party was HUGE and fantastic. We especially loved having our special guest, Kimberly Kelly from Moab–who was featured the week before on Naked and Afraid! Thanks for joining us Kim and family! To check out fun photo’s from the party and some of the exciting events that followed his episode you can visit Trent Nielsen Adventure Page on Facebook. Also, if you missed the blog I wrote titled, Scary Question #3 “What did you think about Trent going on Naked and Afraid, knowing that his partner would be another woman and they would both be naked?” it’s a must read!! Wow! I can hardly believe it is November already. The trees are magnificent, the air has a crisp little bite and the mountains (if you’re in Utah) are glorious. This is such a wonderful time of year for harvest. It’s also the perfect time to harvest all the experiences from our past year and give gratitude for the accomplishments we have made. This is a perfect time to reflect on the good, better and different aspects of our past year. What I mean is take some time to do a personal overview of what we feel we did really good this year, what things we can do better next year and what we might want to do differently…. in other words the “I’ll never do that again” adventures we ALL have in our life. Discovering these events and going through this fun little practice of “harvest” can be a perfect way to uncover what seeds you have planted through out this past year and what you want to continue to nurture and grow next year. There are a few ground rules (that I often have to remind myself of)…. No judging, no beating yourself up….. just a fun little discovery of the growth you have experienced, the gift found in EVERY situation (if you are open and willing to look for it) and an acceptance that all things work together to make a better YOU! Throughout November I will be sharing Gratitude Challenges on my Facebook page Redefining Joy. I will also be sharing how my 15 years of mortgage experience can help you and your friends achieve the American Dream of Home Ownership on my Mortgage page. I would love you to go “LIKE” both my pages so we can keep in touch throughout the month. I am loving the work I’m doing and being able to share that with you. I would love for you to echo it out even further in your world by sharing my posts, blogs or simply telling others about your experience in working with me. What we can not do alone, we can do together! Happy Harvesting….. please keep in touch, I love to hear what you are up to and the discoveries you find along the way. When you feel inspired to send me some of you a-ha moments, please share….. these are some of my favorite emails to receive. Cheers to the upcoming holiday season! Watch for new Mortgage Blogs on Tuesdays and my Redefining Joy posts for tips and tricks in transforming your life on Saturdays. Scary Question 1 How Will I Ever Come Up With a Down Payment? Scary Question 2 Will I Really Be Able to Afford a House? Scary Question 3 Who Can I Trust? Scary Question 4 What If my Credit Score Isn’t Good Enough? Scary Question 5 What is the Most Important Thing I Need to Know About Home Ownership? ….. it’s not what you think!!! Scary Story 2 It Could Be Risky….Is It Worth The Risk? Scary Question 3 What Did You Think of Trent Going on Naked and Afraid, Knowing His Partner Would Be another Woman and They Would Both Be Naked? Scary Story 4 Will I Ever Find or Have a Healthy Relationship?